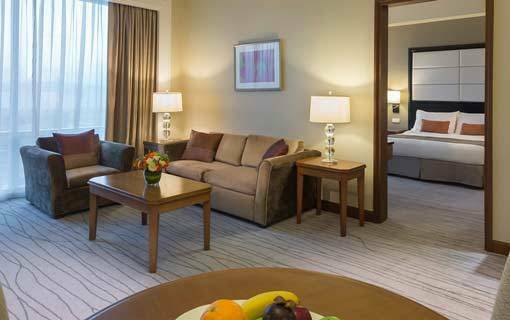 Enjoy sweeping views of the mountain or sea when you stay in Davao’s tallest building, Marco Polo Davao. 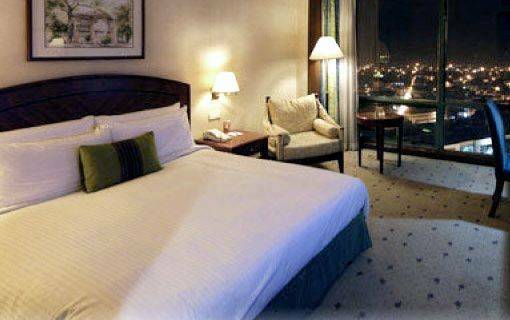 The hotel consists of 245 well-appointed non-smoking guest rooms and suites and are handicap-friendly as well. Sip a cup of coffee admiring the magnificent Mount Apo or soothe yourself by gazing at the still waters of the Gulf of Davao. 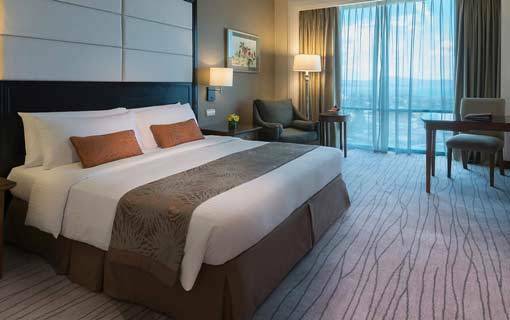 The tallest building in the city, Marco Polo Davao nestles rooms, which provide views that are indeed a feast to the senses! 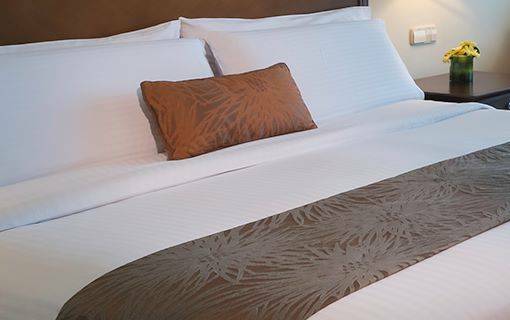 With 245 non-smoking guest rooms and suites which are also handicap-friendly, the rooms at Marco Polo Davao are your perfect base for a memorable time in Davao city! 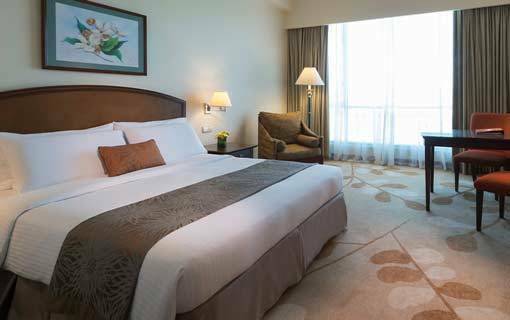 Room categories are as follows: Superior, Deluxe Rooms & Suites, Premier Rooms & Suites, Cabana Rooms & Suites, Continental Rooms & Suites, Marco Polo Suite and the Presidential Suite. 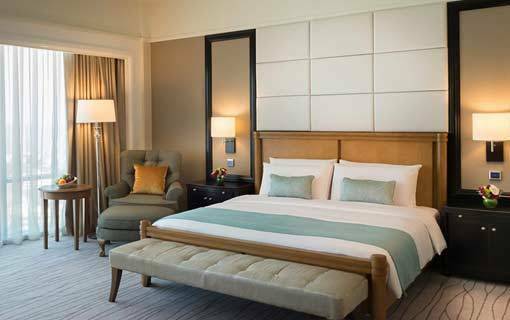 Marco Polo Davao offers business and leisure travellers a choice of 245 exquisitely designed rooms and suites, all with breathtaking views of Mt. Apo or the Gulf of Davao. 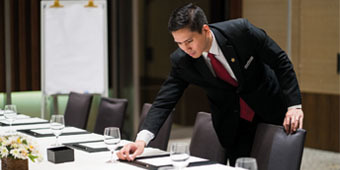 Each stay in our well-appointed rooms and suites becomes truly remarkable, designed to exceed your expectations. 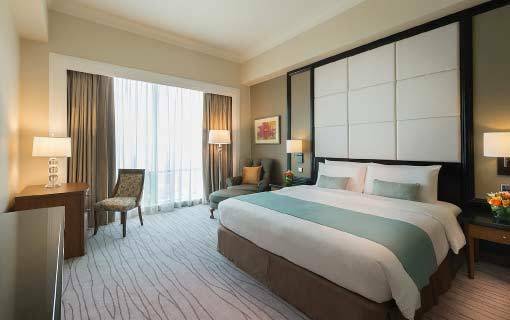 Redesigned and retrofitted for the 21st century, the Premier Rooms located at the 15th and 16th floors convey a haven in hues of ivory and mahogany with accents of rich chocolate and caramel. Located at the 5th floor, the 40 sq m. / 431 sq ft. Cabana Superior Room features a private patio overlooking The Deck. 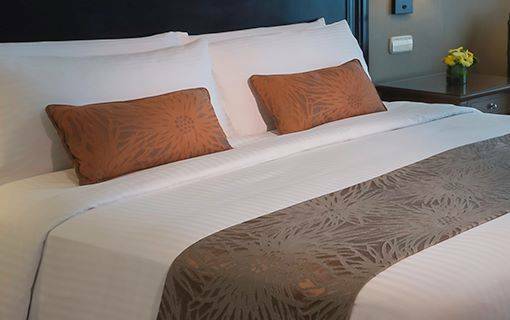 Interiors reflect a refined mix of Asian and Western furnishings with an option of Queen or Twin beds. Complimentary Wi-Fi access included. 40 sq m. / 431 sq ft. The Cabana Deluxe Room with its Asian-inspired room interiors blending with outdoor scenery offers you a sanctuary tucked away within the hotel. 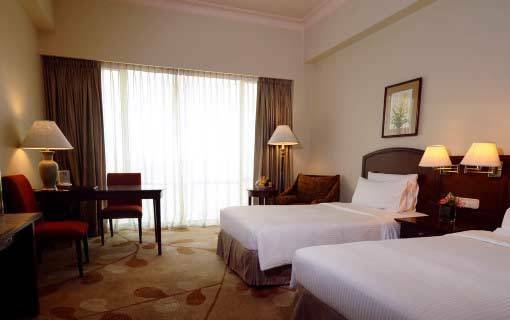 This 55 sq m. / 592 sq ft. room comes with one queen bed and complimentary Wi-Fi internet access. 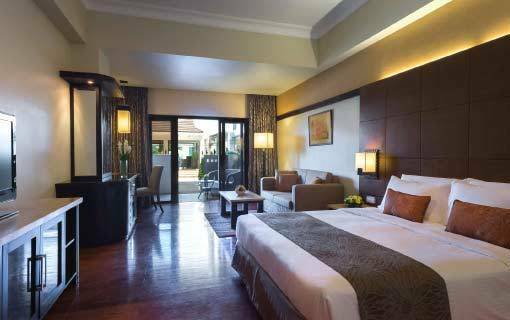 55 sq m. / 592 sq ft.
Marco Polo Davao offer guests the choose of suites, each with different views of the city or enjoy an overdose of exclusivity in the Cabana Suites. Wahtever your choice, you will enjoy exclusive benefits of the Continenal Club. Perched from 11th to 16th floors of the hotel and offering views of the mountain or seaside, each suite is spacious enough to accommodate two adults and two children (below 12 years). Presidential Suite is the best suite in the hotel with VIP amenities and state-of-the-art facilities to please the most discerning of guests. 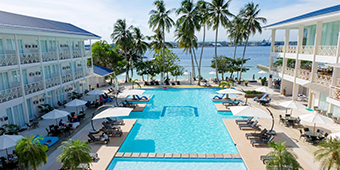 The suite has widest vista of the bustling city, serene Davao Gulf and outlying islands. 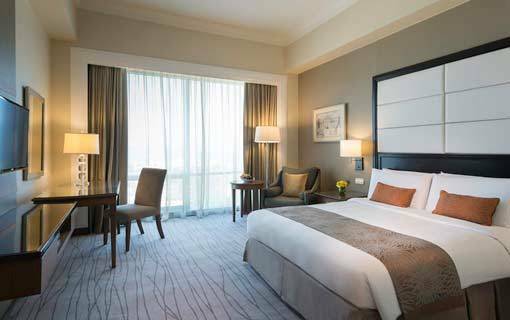 Gracing the topmost floor of the hotel the eighteenth floor and with a floor size of 224 sq m / 2,396 sq ft, The Presidential Suite can accommodate two adults and two children. Whether it is working in the personal office or relaxing in the lounge area, this suite is the ideal home away from home for the busy diplomat or the business tycoon. The renowned Continental Club floor accommodation offer guests ultimate VIP amenities, state-of-the-art facilities, personalised service, and exclusively access to the Continental Club. Complete with touches of luxury and personlised services, Continental Club and lounge offers the ultimate in hotel staying experience. 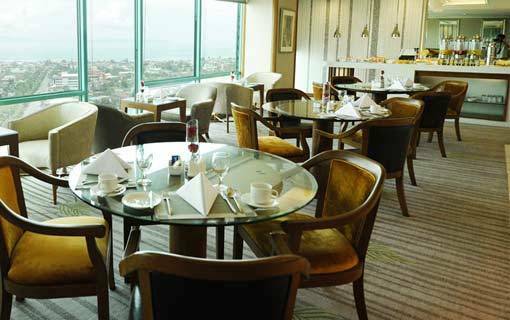 Situated on higher floors of the hotel, the Continental Club Rooms provide scenic views of the Mount Apo or the sea. These Club rooms provide standard amenities as well as Continental Club privileges. Standard amenities include wireless internet access whereas Club privileges include butler service, personalised check-in/out and complimentary refreshments. The Continental Superior Suite combines the privileges of Continental Club floor with the functional elegance of a standard room by providing features like butler service, private reception area, complimentary refreshments and broadband internet, to name a few. Offering breathtaking views of the sea, these suites are ideal for families because of their large size. 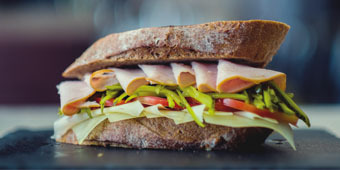 For minimum stay of 7 nights, enjoy 30% savings on Best Available Rates and other privileges on food, beverage and spa. 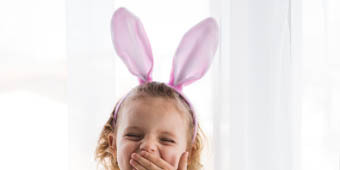 Celebrate Easter and take your family with you on a fun staycation at the Heart of Davao. Play in the sands or dip in the infinity pool with a relaxing view of the sea as your quick respite from the city. 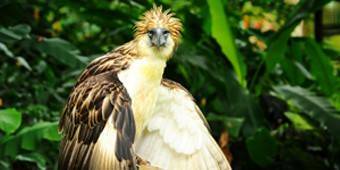 Stay at the Heart of Davao and help save the Philippine Eagles.